The majority of our products can be placed also at home. Thanks to their small space demands, problems-free maintenance and certification /it is a common appliance/ you can place them almost anywhere. Do not share your machine with anybody, save your time and afford all the procedures in comfort of your home. And of course we will train you! We offer the best quality and primarily results! Make your wellness at home! Massage and reconditioning machine, as one of the few devices can form your body, degrade fat pads and eliminate or at least reduce problems with cellulite. The Rolletic Machine is suitable mainly for operation in salons, wellness centers and gyms, but is becoming to be more common also in households. And not only for women! Rolletic is the perfect device for the blood stream, regeneration massage after all physically efforts or for detoxification. For home use we recommend Rolletic Original Classic PRO. It is a basic model of Rolletic with very simple operation, so it can be used by everybody. Besides giving each customer the global training we get ready for him also “Recommended massage plan”. This will always guarantee the right process of procedure. At home you can place Rolletic almost anywhere, it is certified as a common appliance. First-class processing, long durability (in households more than 10 years!) and many years of verified effects. This is Rolletic. Although it does not seem, Rolletic besides the aesthetic can be used also by sportsman and for relax and release muscle tension in households. For its affordability is becoming to be more common in home gym equipment. „I bought Rolletic for my home about three years ago. I use it mainly after long and exhausting day in my office. During the whole day I am sitting at the table and in the evening I feel totally broken in pieces. The Rolletic Original improves the blood circulation in my body, lifts drooping skin and nowadays I almost have no cellulite. After three years of using Rolletic it has still brand new look and no technical problems“. More info about Rolletic massager please find here. Ballancer lymphatic drainage system is the most technologically advanced instrument of its kind which is offering effective pressurized lymphatic drainage, in other words, machine-assisted lymphatic drainage. It is an ideal tool to boost the lymphatic system, whose function isn’t idea for most of us due to our modern lifestyle (sedentary jobs, traveling by car, etc.) The Ballancer lymphatic drainage system helps alleviate swelling and pain in the legs, frees you from feeling tired after a busy day or after any physical exertion and, for ladies, assists with body-shaping and helps reduce cellulite. It is an ideal procedure for home use, especially due to simple and intuitive controls, storage options, significant benefits and reasonable price. For home use, we recommend one of our three series. The BASIC Set is a basic lymphatic drainage kit intended for home use. It consists of our Lympha Press Wave lympho-drainage device and a “Comfy Leg Sleeve” garment. The “Comfy Leg Sleeve” is designed to treat each lower limb separately, so it is necessary to apply the procedure to one leg at a time. The “Comfy Leg Sleeve” is equipped with 12 air chambers that are perfectly adapted to the treated limb. The BASIC set is designed for those who want a domestic lymphatic drainage system for a really good price and solve problem due to swollen feet or tired legs from work. 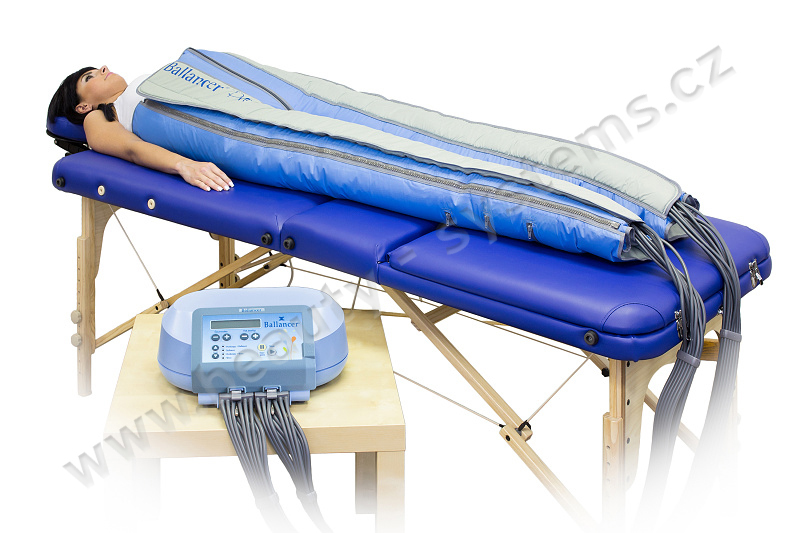 The BASIC 24 Set is among the top-of-the-line home lymphatic drainage systems. 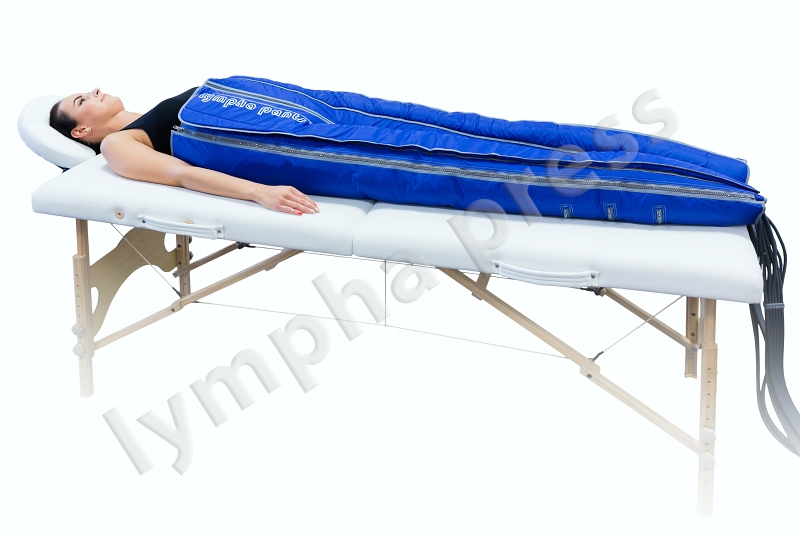 Offering a Lympha Press Wave apparatus and a professional “Lympha Pants” garment with 24 overlapping air chambers that provide a complete treatment of the lower body, from stomach to toes. A complete lower body Lymphodrainage treatment has the most significant effect on the overall lymphatic system and, therefore, is the most widely used for aesthetic treatments as well as in sports and even in medicine. The BASIC 24 Set is intended for all those who want to enjoy the comforts of complete home lower body lymphatic drainage. The COMPLETE 24 Set consists of a fully-professional state-of-the-art Ballancer 505 machine and a pair of special Ballancer pants with 24 overlapping air chambers that provide a complete treatment of the lower body, from stomach to toes. A complete lower body Lymphodrainage treatment has the most significant effect on the overall lymphatic system and, therefore, is the most widely used for aesthetic treatments as well as in sports and even in medicine. 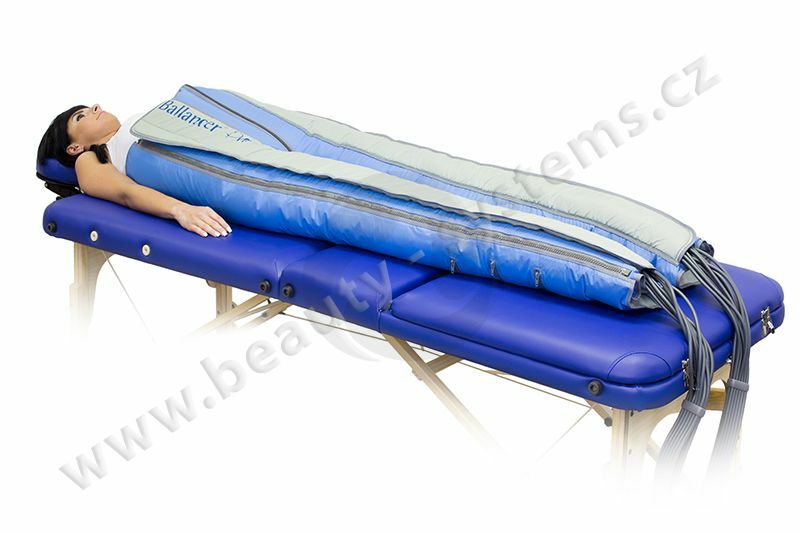 The Ballancer 505 also offers a unique “Pre-Therapy” program which, prior to lymphatic drainage treatment, automatically releases lymph nodes in the groin area. This device is also able to accurately measure the pressure in each chamber individually and make adjustments according to the current state of the actual procedure and pressurization. More info about Ballancer lymphatic drainage system you can find here. Do you need any more information? Would you like a price proposal? Call us now +420 371 141 386 or contact us using the following form, we’ll get back to you ASAP. Feel free to contact us - click here.